It's been three years since a professional hair stylist touched my tresses. I can make excuses, but in reality none of it justifies neglecting my hair. So when I received the offer to visit Indira Salon in Carrollton for a review it was like being granted a wish by a genie. I knew that my primary reason for going to Indira Salon was to perform a review of its services, but I was secretly hoping that I would meet a stylist who I could form a long-term relationship with, someone who would help me nurse my hair back to health. I am thrilled to report that both goals were accomplished! I walked into Indira on a Saturday afternoon, nervous and slightly sweaty from the Texas heat (the climate here is murder on the hair!). I was immediately greeted with a big smile by the owner, Beth, who put me at ease with her Texas hospitality. She gave me a tour, offered me water, and seated me in the waiting lounge. Indira is a full-service Aveda salon. I have been a big fan of Aveda for years because of their mission to provide products and services in harmony with nature.You know how this hippie mama feels about Mother Earth! Indira Salon embodies the Aveda concept from its intimate layout to its South Asian motif. Soothing Lite FM music softly pipes through the sound system. Everyone who works there is very friendly. The atmosphere is very relaxing. Noticeably absent was the smell of burning hair or harsh processing chemicals. I could tell I was going to have an awesome experience. 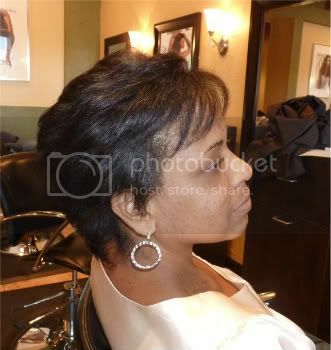 When I was introduced to my stylist Tishia, I knew instantly that I was in good hands. After Tishia sat me down in her chair, she explained the steps of the KeraGreen protein treatment I was getting. Then she gave me a shoulder and back massage! It's one of the complimentary perks with every hair service at Indira. Tishia washed my hair with a detox shampoo, blow dried it, applied the KeraGreen, and finally flat ironed it to seal in the moisture. I also received a trim and style. I am so happy with the results that I made an appointment to come back in August! 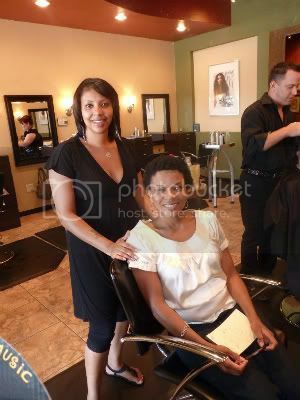 One lucky lady in the Dallas Metroplex is going to win her own summer makeover courtesy of Indira Salon! This prize includes a color, cut, and makeup application. Sweet, huh?! Giveaway ends 7/8/11 at 12:01 am EST. Use the Rafflecopter form below to record entries (click on Read More to load the entry form). 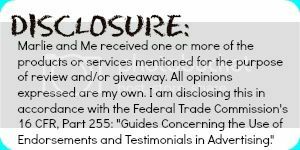 I received this review and giveaway opportunity through Business2Blogger.